This guest post comes to us via Rana Tarakji.If you feel you have something of value to share with The Music Entrepreneur HQ community, then you can learn more about guest posting here. 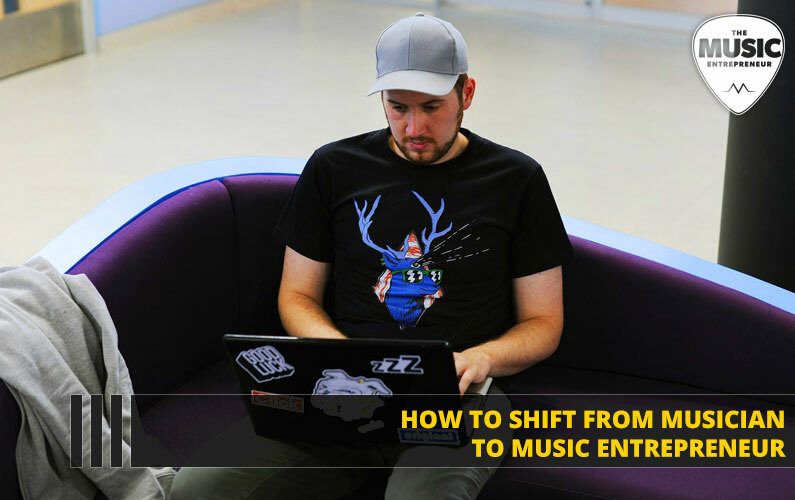 Now, here’s Rana to talk about making the shift from musician to music entrepreneur. A lot of people think that being a musician or being a member of a band is a bad way to make a living. Of course, there are big-time musicians who make millions when they sell a lot of albums and build a solid fan base, but only a small percentage of artists across the world are able to achieve this kind of success. Although musicians that earn the biggest amount of money are in the level of high-profile celebrities, there are other paths you can take to earn well as a musician. What some people do not realize is that musicians could be considered small business entrepreneurs. 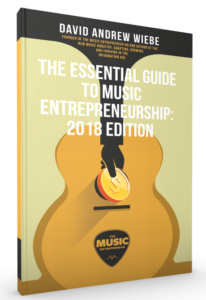 If you want to become a musicpreneur, here’s what you need to to to establish your band as a business. The first step to making a business out of your passion is to treat it as one. Do not treat it as a hobby or pastime that you only take on when you feel the urge. Not all entrepreneurs are passionate about their business all the time; some of them also have days when they do not want to have anything to do with their business at all. The difference is they still put in the hard work required on days when they do not feel like it, because that is what it means to be an entrepreneur and to have a business. If your music or band is your business, then put in the effort necessary to make it top-notch. Invest in yourself and improve your musical skills. Those who want to be a pilot undergo rigorous pilot training and look for opportunities to improve their skill – being a music entrepreneur is no different. Practice as much as you can, and expose yourself to things that will help you improve your craft. Do not be afraid to ask for help or mentoring from other musicians who are more skilled and talented than you. Those who have been in the music industry longer than you will have a lot of trade secrets that you will benefit from knowing. Treat other musicians with respect because they will help you improve. Just like any other business, it is important to know how to set goals and achieve them. Set goals around the number of songs you want to create, how many clients you would like to target, and the number of events you want to book. When do you want to release a new album, and how many do you target to sell? Most importantly, make a plan for how you will reach your target. Make it as detailed as you can, and break up your plan into stages or phases if possible. This will make your goal easier to achieve. When you go into any business, you must understand everything you can about the industry your business is in. Hence, making music your business means you would have to go beyond the creative and artistic aspect of it. Learn about the business aspects such as music licensing, marketing your services, economic and legal regulations, and other things that are important when managing a business. Get other people onboard who can help you if you have to, especially on the aspects of paperwork and documentations that your business will need to comply to. Music entrepreneurship is about making a commitment to yourself, for your ongoing growth and improvement. It’s about becoming all that you can be, and overcoming the many challenges that come your way. It is an easy journey? No. But it is a fulfilling one. Rana Tarakji is an entrepreneur and a contributing writer at Stylerail as well as Theflightacademycali.com who lives in Beirut, Lebanon. Rana is passionate about digital marketing, startups, helping entrepreneurs grow, and empowering them to live their dreams. She has worked as a digital marketer, a technology co-founder and business developer, and a writer.